Q. 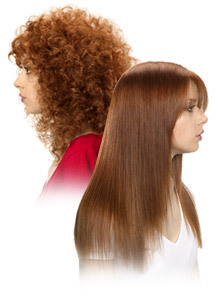 What is Kurtis Japanese Hair Straightening?
" Kurtis Japanese Hair Straightening" is a revolutionary straightening technique to virtually straighten any type of hair. Q. Is this the same as Relaxer? No, My straightening system is different from Relaxer. " Japanese Hair Straightening" keeps your hair shiny and healthy without damaging or drying your hair also lasting longer than the Relaxer. Q. What makes our Straightening different from other salons? My technique differs from the rest because I use original products and unique techniques. One example is the ion jet steamer called Milbon which helps to open the cuticles of your hair allowing the solution and the treatment to sink deeply into your hair. Q. Does it damage my hair? While we are straightening your hair, I emphasize on treatment. My treatment "Clay Nour" is made of deep sea clay, which is also in the straightening solution to minimize damage to your hair. For short hair shining straightening starts from $500, however it all depends on your hair length, volume and condition. Please stop by Kurtis for a free consultation. It depends on the length and thickness of your hair. Usually it takes approximately 4-5 hours for the whole process. It depends on the speed of your hair growth. The area straightened will always remain straight, but to maintain your straight hairstyle, always condition your hair and it is recomended that the new growth be touched up within 6-8 months. Q. What is a Re-Touch? Re-Touch service will straighten your new hair growth and at the same time, I will give your previously straightened hair a deep conditioning treatment, leaving your hair shinier, healthier and easier to manage. Q. After getting the Japanese Straightening, would my hair ever turn curly again? The straightened hair will always be straight, even after washing your hair, you will not need to blowdry which cuts styling time drastically.